1. Pumpkin is clearly my favorite baking ingredient. 2. This was perfect for Thanksgiving #2. 3. I recommend using a dish smaller than 9 x 13". 8 x 8" is recommended in the original recipe and I didn't listen (mostly because I don't have an 8 x 8"). 5. I am done with finals, and fall quarter. Hallelujah, hallelujah. 6. The next time I blog, I'll be in Seattle bound with David. So excited! Preheat the oven to 350°F. Place your baking dish with the butter in the oven (to melt while the oven preheats). Whisk everything except the bread and butter together. 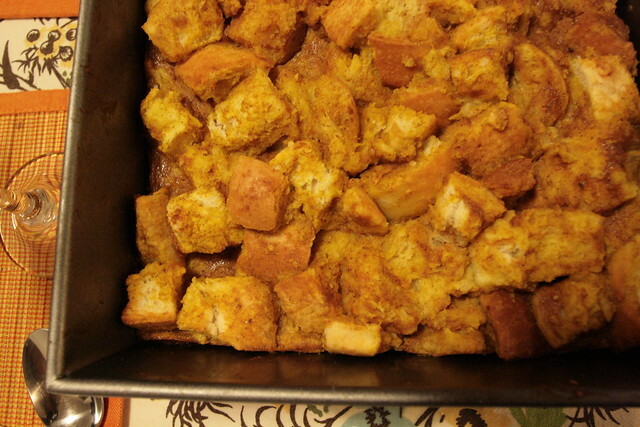 Once your butter is melted, take the baking dish out of the oven and put the bread squares inside. Mix to coat the bread with the melted butter. 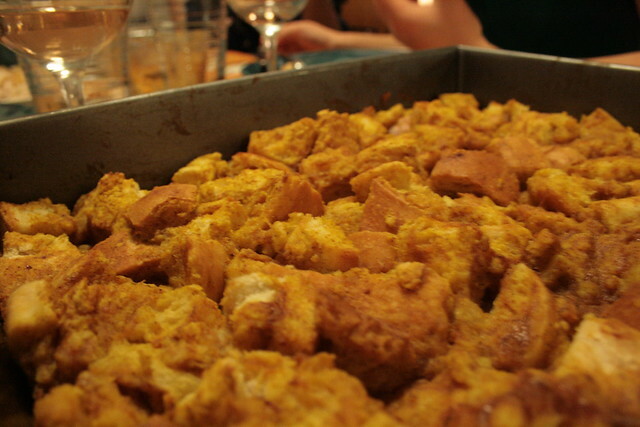 Pour the pumpkin mixture over the bread. Bake for 25-30 minutes until the custard is set. 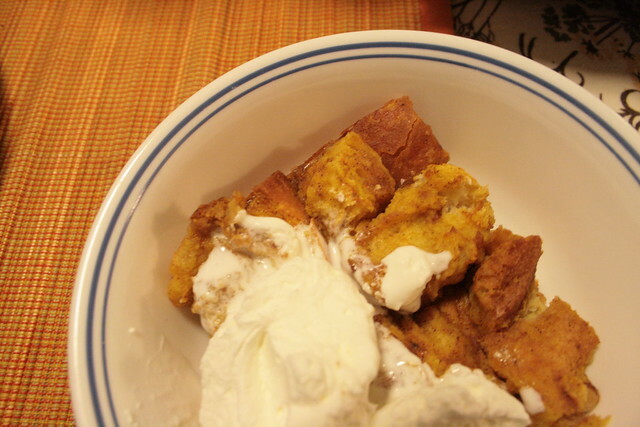 Serve with whipped cream! (or don't... but it was a nice, fluffy addition).